Learn the skills to run fast & light over technical terrain; take scree & singletrack in your stride, climb strong & descend fast. Run over rough and unstable ground. 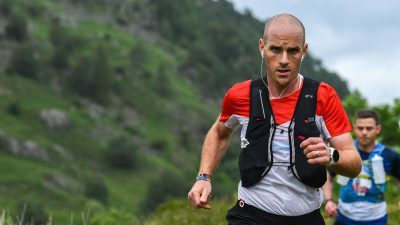 Run technical single tracks, and become familiar with exposed ground, gaining an understanding how one wrong foot placement, a trip or slip from such ground could cause you serious injury. Run down scree slopes and gullies that are severe in nature. 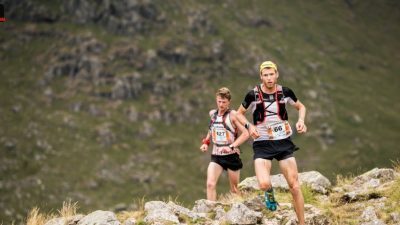 The course will give you a stable grounding for the Scafell Sky Race or another equivalent race. But, remember, once the course is over your training has only just begun: we expect you to go back out and practice - then go out again and practice some more! 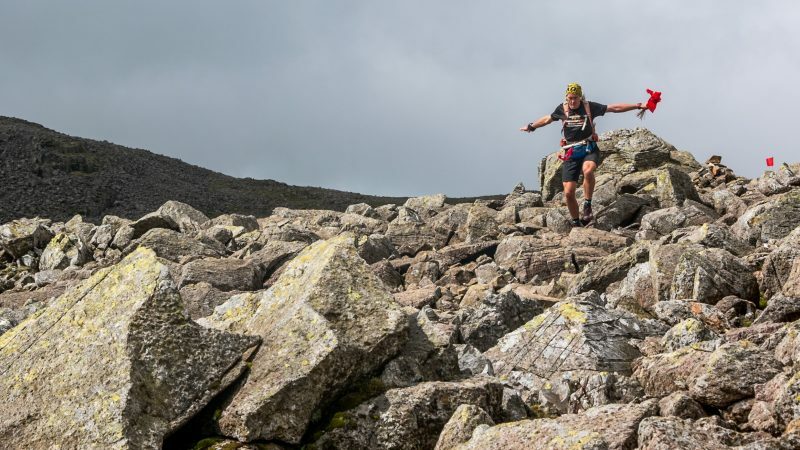 The Introduction to Skyrunning weekend is ideal for anyone who wants to build their running and scrambling skills or to prepare for serious mountain races such as Keswick Mountain Festival 50km Ultra, Lakes Sky Ultra, Salomon Ring of Steall, Mourne Skyline MTR or Tromso. There are limitations – we can’t cure your fear of heights or get rid of vertigo – but we can help you to build confidence and experience in a controlled environment and in the safety of a small group. 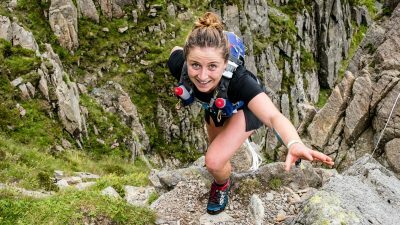 If you feel you need more of a 'hands on rock' expereince then why not join our Advanced Skyrunning Weekend, which may be more appropriate to your needs. Need to know more? For more details please contact enquiries@mountainrun.co.uk. 18:30: [Optional] - A nice easy grade 10k around the valley to work up an appetite. 10:00 – 16:00: Skills training on the fell. Please note that due to the nature of this session, warm clothing will be required – single-layer running clothes are not suitable. Sound Mountain Judgement, what this means and how to apply it. Return to base - Please note the precise route and distance of the guided run and scramble will be dictated by the fitness of the group and speed of travel. Your usual mountain running gear for two days on the hill, including aggressive soled footwear. Primaloft layer or similar (NO COTTON). Race vest or small pack to carry yourkit. Please be aware we might be moving at slow speeds at some points during the day: please account for this in your clothing selection. Check the weather forecast in advance of the training weekend and come prepared.